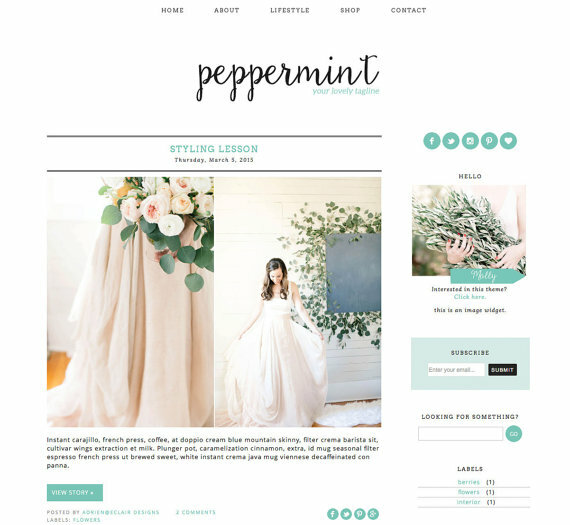 The design I chose for this blog is called Peppermint. If you are contemplating writing your own blog or you need a new design go check out her shop. Amazing customer service! Merry Christmas to all! 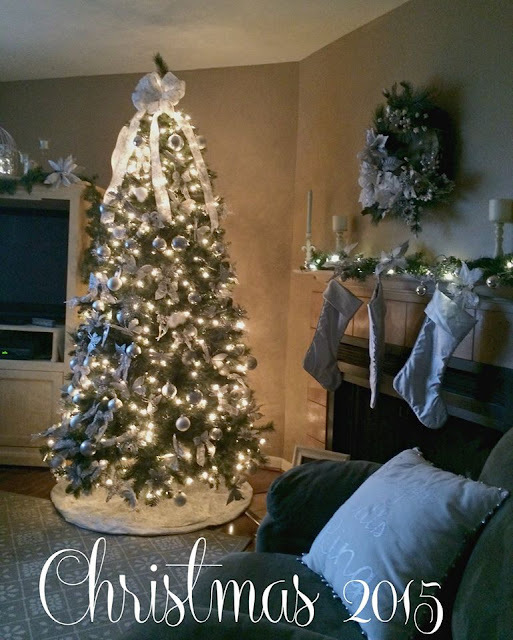 Hoping you all had a wonderful holiday with your friends and family. It has been quite the eventful and busy day today. Last night in Syracuse we broke a record! 70 degrees and no measurable snow this year, which is unheard of here in Central New York. Christmas day and we were sitting outside in just a sweater. I had to celebrate this gorgeous weather by barbecuing Christmas dinner, actually my daughter was the one cooking on the grill. She calls herself the "grill master." I guess this is what it's like to live in the south during the winter. I do have to say I am looking for a little bit of down time this upcoming week. 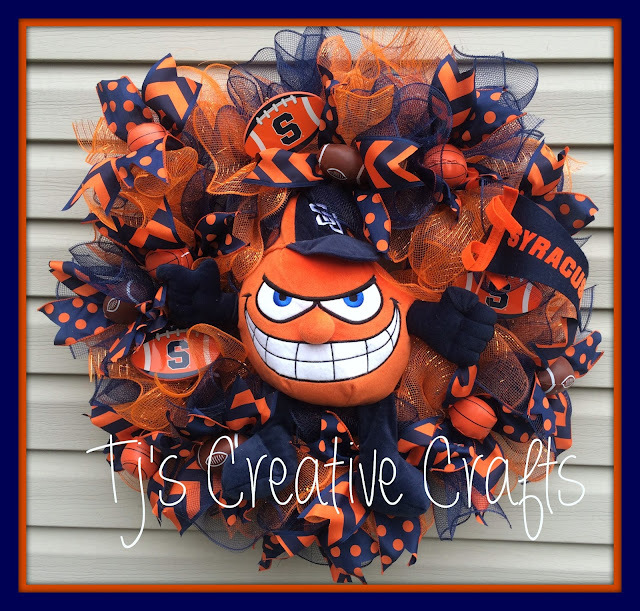 Between my teaching job and my shop on Etsy I have been very busy these past couple of months. Now that the craziness has stopped, I will take a few days off and catch up on all the stuff I haven't been able to get to lately. I hope everyone had a wonderful day today! It just wouldn't be Christmas if I wasn't crafting up to the last minute. 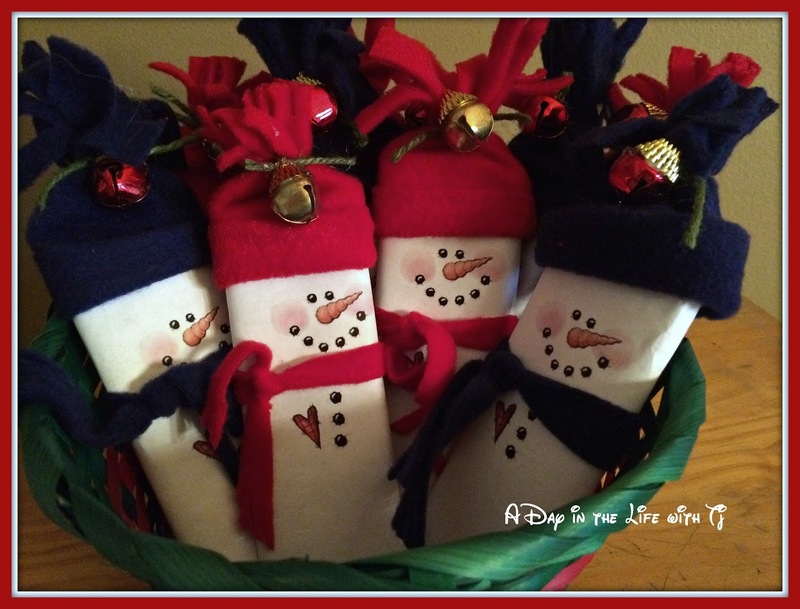 I've seen the little candy bar snowmen all over Pinterest and decided that they would be a cute little gift for my co-workers. 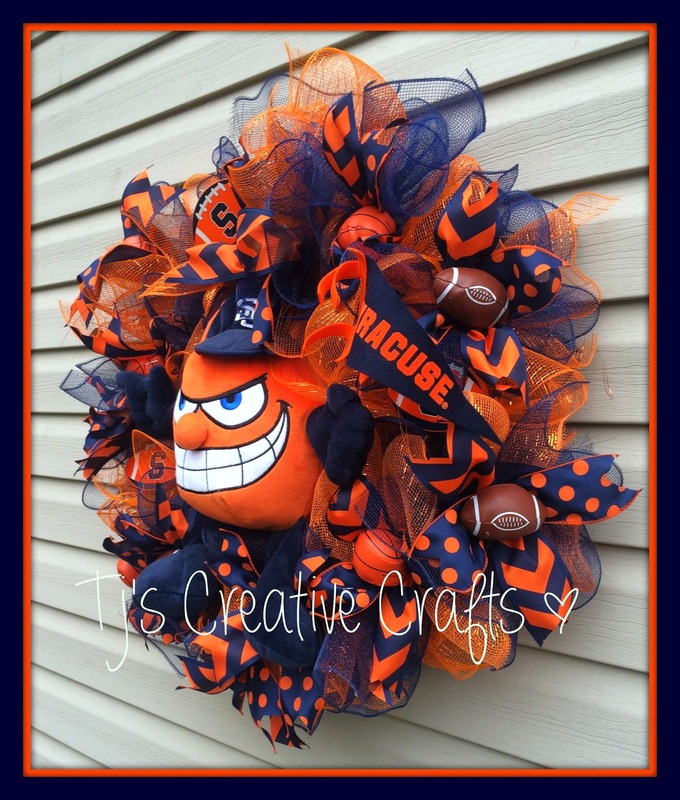 I found the printable pattern on line here - Robin's Creative Cottage. I ran to Walmart and grabbed 2 packs of Hershey Chocolate Bars, 1/2 yard of red fleece, 1/2 yard of blue fleece, and a package of 16 bells from the dollar store. The directions actually call for sewing the little hats for the snowman. I didn't have time to sew all the hats this evening, so I cut the fabric to 6 inches wide and approximately 4 1/2 inches wide. I put some hot glue near the edges and then folded them over to give it a finished look. I then glue the two sides together leaving the top and bottom both open. I rolled up the hat, grabbed some twine to gather the upper portion of the hat and then sliced down the hat to make it look like fringe. If you are a visual person like I am, here is a video I found on how to put the snowmen together. I'm finally getting into the Christmas spirit and decided to take a quick break from my wreath making for a few hours. 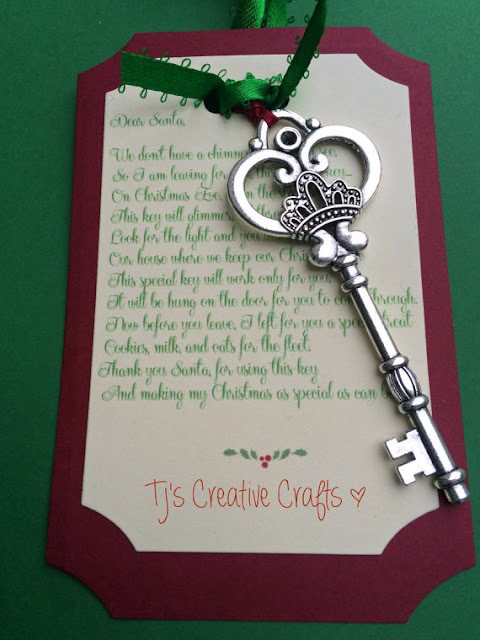 Today I decided to make some Magical Santa Keys for friends and also list a few in my Etsy Shop. 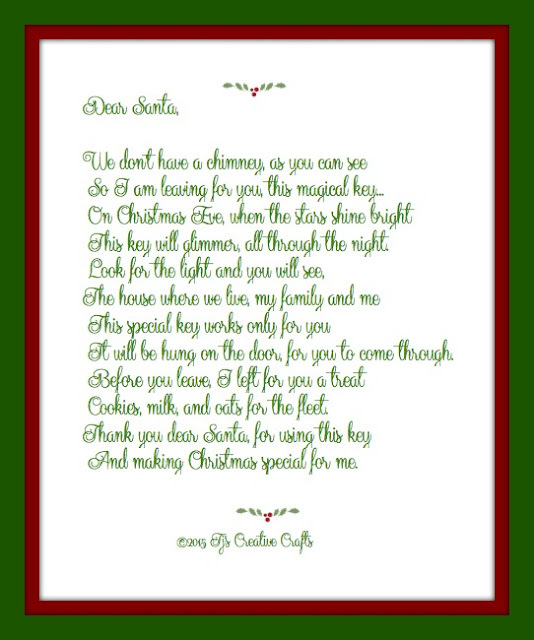 You can find various Santa keys all over Pinterest. Many have free printables, but I have to say I didn't really care for the poems that were out there. I wanted more of a "Twas The Night Before Christmas" feel to it, so I decided to come up with my own version of the poem. I really enjoyed making these magical keys - they are available in my shop for $8.00.